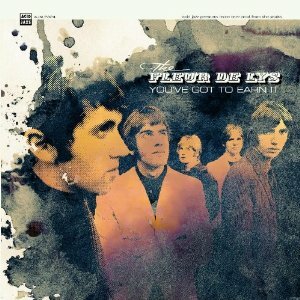 The Fleurs de Lys was a band that went through a lot of evolution in its short career and has achieved a respected position amongst Mod and freakbeat enthusiasts. The original members came together in Southampton before moving to London where there was more chance of being spotted. Session man Jimmy Page produced the first single, Buddy Holly’s Moondreams, but it is the second single for which they are probably best known. The band was unhappy that Moondreams did not represent how they truly sounded and the intended b-side Wait For Me written by Churchill and Smith was more appropriate. The latter title did make the b-side but as a 12-bar instrumental by Jimmy Page, a completely different track. Te band members have denied that Jimmy Page appeared on any of their tracks. Churchill decided to quite the band and he was replaced by Dorset resident Gordon Haskell. The band had signed to Andrew Loog-Oldham’s Immediate label. The Who has been prevented from releasing their superb track Circles and the song was offered to The Fleurs de Lys whose version in 1966 did tremendous credit to the song. By now, Phil Sawyer had joined the band on guitar and he provided the wonderful intro to Circles. The track is widely viewed to be superior to The Who's version and it has certainly became a 1960s classic. The band now moved in more of a soul direction. They even recorded some tracks with the Animals' Hilton Valentine. There were rumours that Jimi Hendrix overdubbed guitar on some tracks but these, if they ever existed, appear to have been mislaid. He and Pete Sears left the group with Chris Andrews joining on vocals and Bryn Hayworth adding guitar. This line-up produced some strong singles such as Mud in Your Eye but they failed to make any impression on the charts. Guster, Hayworth and Haskell worked as a trio, spending a lot of time in the studio. One of the more unusual things about The Fleurs de Lys was that the band had several guises. Alongside their own recording career, they also acted as the backing band to visiting American artists such as Aretha Franklin and Isaac Hayes. In 1967, they started to work with the South African singer Sharon Tandy whose performances with the group included the superb Hold On and Graham Dee & Brian Potter's Daughter of the Sun. Another version of the band with Rod Lynton on guitar was Rupert’s People who released the Procol Harum-like track Reflections of Charlie Brown. Andrews then went on to form a more permanent Ruperts People with Lynton. Hold On had been the b-side of Reflections of Charlie Brown and the band re-recorded it with Sharon Tandy on vocals. Hayworth took over the vocals for I Can See the Light. Tick Tock was another release though under the pseudonym Shyster in October 1967. The group continued recording and backing visiting Americans but, dismayed with the lack of commercial success, Haskell departed in 1969. He was replaced by Tago Byers on bass and Tony Head on vocals. Stop Crossing the Bridge was released under the name Chocolate Frog. The final single was the superb Liar which is dominated by Hayworth’s guitar. Tony Head teamed up with Sharon Tandy as Tony & Tandy recording the superb Two Can Make It Together, just about the closest the UK got to Marvin Gaye & Tammy Tyrell. Haskell later teamed up with former school mate from Bournemouth Robert Fripp in a King Crimson line-up at the end of 1969. He remained very popular with King Crimson fans despite the fact that he sang vocals on just one album and left the band prior to the supporting tour. He remained in the music business playing pub gigs in Scandinavia and his native Dorset largely including teaming up with Robbie MacKintosh and Hamish Stuart from Paul McCartney’s band. However, in the early 2000s, he had a surprise number two hit with How Wonderful You Are as "the pub singer" and a highly successful album called The Road to Harry’s Bar. Pete Sears later became a session musician and joined Jefferson Starship. Phil Sawyer joined the Spencer Davis Group after the departure of Steve Winwood. A 7" vinyl EP The Two Sides of The Fleurs de Lys was released on Acid Jazz Records in 2009. A 17-track compilation You've Got To Earn It was issued in April 2013 on Acid Jazz.